With home-grown herbs come the promise of flavor, scent, healing, and beauty. Open your garden to the beauty of herbs and the rewards will be manifold. Herb-growers and those who have always wanted to try it will find a wealth of encouragement and sound advice in this well-illustrated book. Betty Jacobs will tell you in helpful, easy-to-understand language how to get the best results with 64 herbs--how to grow, harvest, and use them. Starting herbs indoors and outdoors. Getting the most from your greenhouse and lath house. How to avoid buying costly perennial plants. 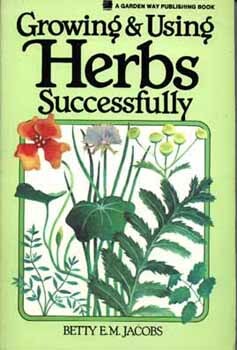 ...one of the best and most straightforward works on growing herbs that this reviewer and zealous herb grower has read.